One incident of data breach could cost your company not just dollars but a lifetime of trust. In a race to develop top-notch mobile applications, companies sometimes miss important stages of scrutinizing the security. Unless and until you are assured of app safety, no way you can offer a secured platform to your users. Do you know – Majority of the popular applications with 5 to 10 million downloads include a security flaw. Hiring a top mobile app development team is not everything. As the choices of connecting mobile apps with other devices are increasing, so the chances of mobile apps getting hacked. Being a CTO you need to allocate resources to offer the best data protection. How hackers damage your app security? This pattern is the most infamous technique of attacking a mobile app. As the name reveals, here the hackers inject malicious codes in the mobile app binaries. They began with binary patching where they modify the code by augmenting its execution path. After modifying the codes, they repackage the application and publish it as a new app. The hacker also takes advantage of method swizzling where they attack critical-class methods of an app. They stop the application programming interface (API) calls and put authorized code which helps them with their ill purpose without leaving a trace. If you’re creating an app or have an app in the market, then be alert about this black world of cybercrime. Providing robust security to your mobile app in this competitive market could be a big differentiator. 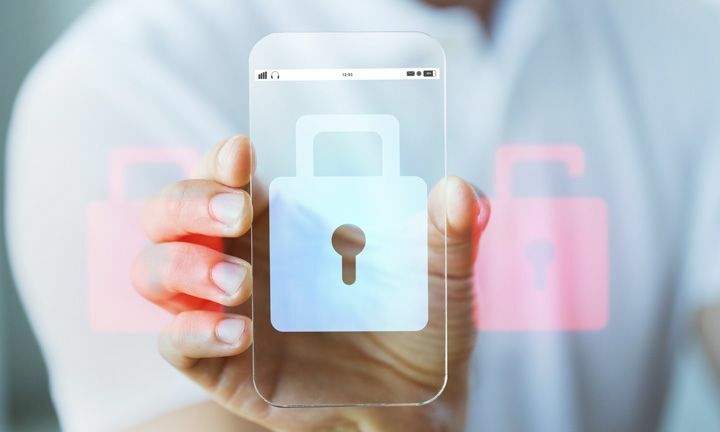 Expert mobile app developers can help you protect your mobile assets, however, you need to be aware of some points before you discuss with the team. So here you go with real-life tips to make your mobile app hack proof. Be it an Android or iOS mobile app, developers need to access libraries to configure different features & functionalities in the application. So, when using different third-party libraries developers need to test the code thoroughly before using it in your app. As useful as they are, some libraries can be vulnerable to your app. There are libraries for testing, user interface, notifications and much more, so the developer needs to ensure that the libraries they are using are updated from time to time. Servers that your app APIs are accessing must come with security measures in place to secure data and obstruct any unauthorized access. For this, a secure network connection on the back end is essential. HTTPS (the secure version of HTTP) helps in protected communication between the app and the server. To implement an HTTPS connection, you would require an SSL (Secure Sockets Layer) certificate. Unlike desktop browsers, mobile applications do not show an “Address bar” by which we can spot an HTTPS connection. This is very important when you are creating an app with a payment gateway. Threats can be caused by development code error. For instance, when you are growing your applications in terms of features and functionalities, the expansion requires a thorough review of codes. For full-proof security, the development team must keep on reviewing the code or run source code scanning to analyze possible threats in specific areas of code. Even the app code must be protected with encryption. Also, your aim is to make the app secure but not at the cost of performances. API is a vital part of backend development, allowing applications to interact with other applications or in-built features of the smartphone. If your mobile app development team is creating new APIs for your app then you don’t need to worry about its authorization and authentication. Otherwise, loosely coded APIs can unintentionally open a path for the hackers. You can ask the team to incorporate API gateway for tight mobile app security. Testing is the process that never ends. Whether your mobile app is native, hybrid or web app, the testing lets the team detect vulnerabilities in the code which can be removed before publishing the app. Security patches and OS updates also contribute to better protection. Even the on-going testing helps to eliminate bugs with each update and issues patches when needed. Mobile app development process requires great attention as the data within the app can be misused if suitable security controls are not applied during the building. To keep all the user’s personal data secure, these are some of the tips for a difficult-to-crack mobile application which is now a necessity.